Whenever you speak with a coworking space operator, whether at GCUC, a co-op meeting or just speaking with your local community manager, everyone is always thinking about community building. Especially for new coworking spaces. Since most coworking spaces are in the red, the faster you can build a following and member base, the better your odds of survival. Meet the master - Mark Eaton. He built a coworking community over a year before his town even had a coworking space. He parlayed that into a membership base at The Corner Coworking. If you are planning a coworking space, or have an existing shared office and wish to strengthen your revenue, you must read this interview with Mark Eaton. Q: How do you describe The Corner to people unfamiliar with the concept? 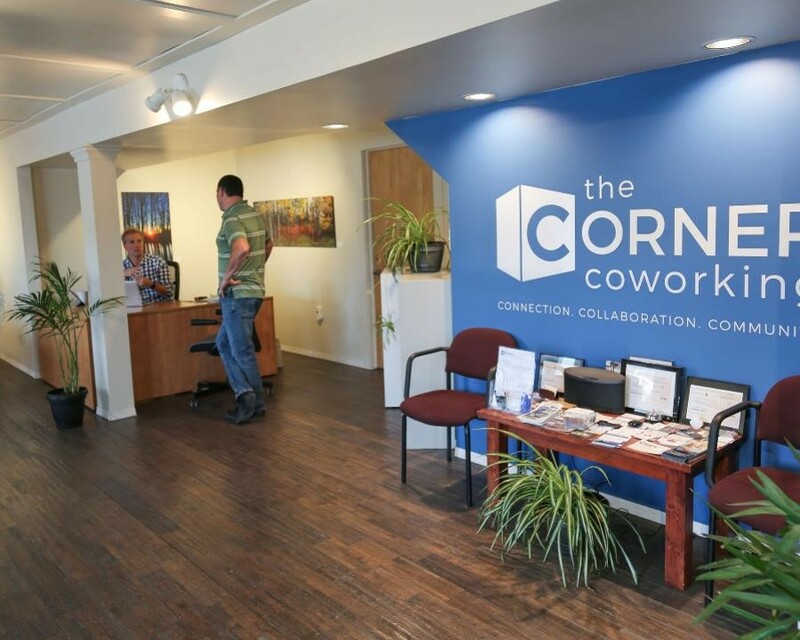 A: The Corner Coworking is the first Cochrane-based shared workspace dedicated to professionals with flexible working locations. 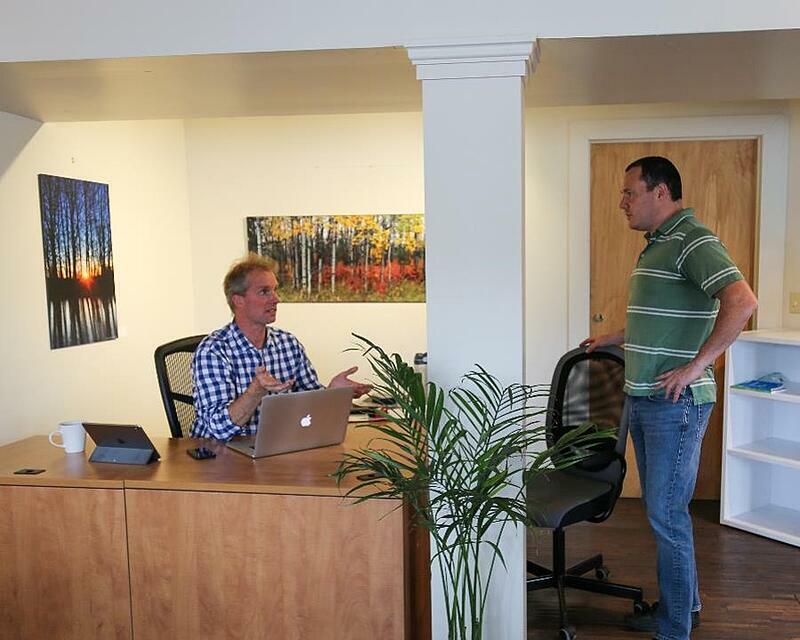 The coworking movement is changing the way we work. It connects aspiring and inspiring leaders in a motivating work environment. Above all, it is a community, a place to connect with like-minded business people who support each other doing amazing work. At The Corner, we are inspired by inspiring others. Cochrane is a town of just under 30,000 people, largely a bedroom community. We are 20 minutes west of Calgary, Alberta...at the foothills of the Rocky Mountains. This is an awesome winter (and summer) playground, but we also need to get some work done. Q: Why did you decided to get into the coworking industry? Why was your space necessary in this small front range town? A: As a remote worker back in 2016, I had a yearning to interact and connect with like-minded peers. Getting out of my home office from time-to-time was necessary, but the local cafes were just not that conducive to high levels of productivity. Good coffee, of course they have. Wifi, privacy and security were another matter. 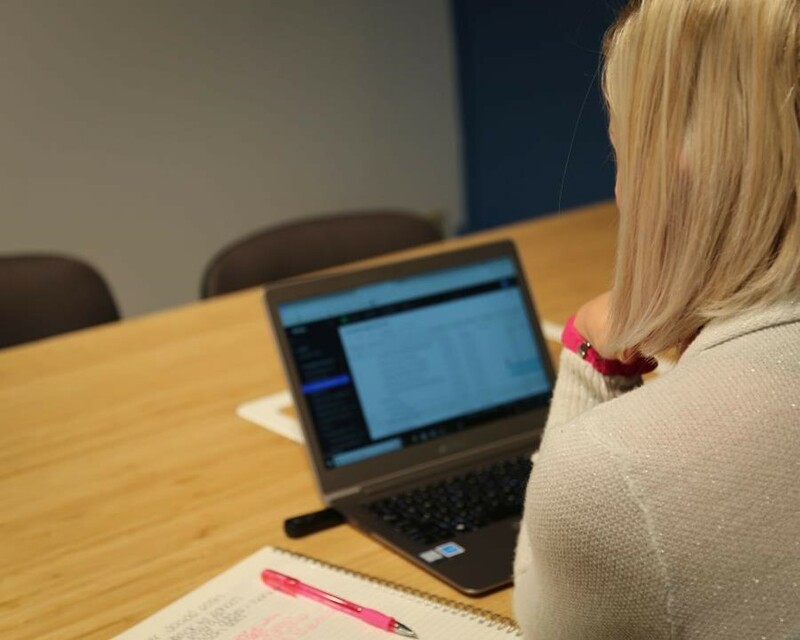 I went looking for a coworking space in Cochrane, as I had experienced the benefits of coworking on a few occasions previously. To my dismay we didn’t have one! I had attended meetups in coworking spaces, both here in North America and back in my home town of Melbourne (Australia, not Florida). I certainly saw the value and benefits, even more so when I started to work in coworking spaces myself. Cochrane is very community-focused, and I felt that I had finally found my niche, found a way I could support our business community. Q: Now for the magic question... How did you go about promoting your coworking space before it opened? In fact, if I remember correctly, before you had a lease or even were sure you were going to proceed? A: In July 2016, I started the Cochrane Coworking Community Meetup group. At our first event I met five local coworkers, some of whom are still active members. The group grew rapidly. Somewhere around 50 members, I knew we’d reached the tipping point and I set about determining the feasibility of creating our own space. Working with some very smart people both locally and within the greater coworking community, we developed a business plan and found a location for local entrepreneurs and contractors to be inspired and to inspire others. Almost 18 months after our very first Meetup, and approaching 170 members, we have an incredibly strong local community of business professionals seeking a place to connect and collaborate. And now we have a space in which they can do just that. Let’s be clear though, I didn’t have all these great ideas alone, my initial research into coworking spaces led me to amazing people in our industry like Alex Hillman (Indy Hall & The Coworking Weekly Podcast) and Angel Kwiatkowski (Cohere & DIY Coworking) who have many resources to help you get started properly. Jamie Russo and Tony Bacigalupo have been big influences too. Q: What were the results when you finally did open? A: Having a group I’d been working with for more than a year, we opened strong. A good range of professions were represented and numbers were right on target for our launch. We had all established strong relationships with each other during the Meetups, it became natural to want to work together in our own space. Finally having a space to present to the Meetup group, rather than just speaking about it and working together in cafes, the membership grew quickly amongst that group. The challenge became maintaining that momentum, and now having to work on traditional marketing and promotions. Knowing where in our fairly small town, of 30,000 people, to firstly find those those working from home and cafes and then to effectively communicate the benefits for coworking. The Meetup group gave us an excellent base and starting point, it also showed prospective members that this was already a popular working concept. We had members in our space every day, being productive and using the facilities. This has been a very effective tool, as well as the networking benefits of meeting other business owners and entrepreneurs. The Meetups have not ended either, we run them in our space. This ensure our members, and prospective members have a chance to both see the space and network too. Q: So what are the results for the Cochrane coworking community? A: Kelly joined our Meetup group before we had our own space, shortly after leaving a ‘corporate’ job with a large PR & Marketing company in nearby Calgary. Kelly instantly connected with several members of the group, as they aligned well with her goal of supporting local businesses here in Cochrane. Kelly brings an energy and enthusiasm to any projects she takes on, and this helped Kelly make strong connections with several clients. These included Cochrane Tourism and our very own Corner Coworking! We are lucky to have Kelly as a member at The Corner, I hope that we’ve played a small part in the success of Kelly’s company, KS Communications. Everyone in the emerging coworking industry knows that building a strong community is vital to long-term success. They also know how challenging it can be. Mark Eaton and The Corner Coworking are a great example of how this can be done - even without the shared workspace itself. Mark built a Meetup group to fulfill and personal need. He then persevered through a slow start, finally building momentum, a strong network, and ultimately a coworking space that launched with a thriving membership. How can you apply the experience of The Corner to help your serviced office business thrive?